If you're self-employed, you can deduct health insurance. 3. Can You Write Off Auto Insurance as a Job Expense? A company that provides group health insurance for its workers gets to write off that cost as a business expense, but individuals who buy their own health insurance also can take federal income tax deductions for those premiums. Individuals, however, don't pay business taxes so they take personal deductions, not business expenses. While many individuals qualify for a deduction on their taxes when they pay their own health insurance, only businesses can deduct health insurance as a business expense. A self-employed individual can deduct premiums for medical, dental and long-term care insurance for himself or herself, a spouse and any dependents provided he or she is not eligible to get insurance through any employer or a spouse's employer. The policy can be in the name of the individual or in the name of the business, but the Schedule C, Profit and Loss From Business, must show a net profit. This deduction, however, is taken on Form 1040, individual tax return, and not as a business expense on the Schedule C.
Partners in a legal partnership also can get deductible medical insurance, either as individuals or through the partnership. Either way, the premiums will be reported to a partner as gross income on a Schedule K-1 of a Form 1065, Partner's Share of Income, Deductions, Credits. Since partnerships do not pay business taxes, passing through profits or losses to the partners' tax returns, the only deduction is a personal one. 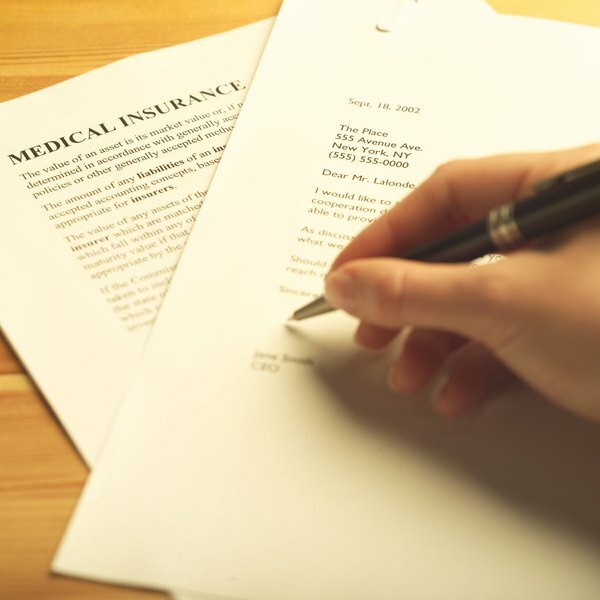 A partner deducts health insurance premiums from his or her taxes just like a sole proprietor. S corporations are a special class of corporation under federal tax law, designed for small businesses. They also do not pay business income taxes, passing through profits or losses to owners' tax returns, so the small business health insurance deduction for shareholders is treated much like those for partners. Either the shareholder or corporation can pay the premiums for personal health insurance. It the corporation pays, they are reported as income on a W-2 wage statement and deductions are taken on a personal income tax form. The policy, however, must be in the S corporation's name. Generally, health insurance premiums paid by an employer aren't subject to income or other taxes. There is also a small business health care tax credit available under the Affordable Care Act for businesses that have fewer than 25 full-time equivalent employees, pay at least half of their employees' premiums and pay an average wage of less than $51,600 per year that can help these companies cover employee insurance. An individual employed by a company that does not provide health insurance can create a health savings account. This is similar to an individual retirement account in that contributions can reduce your personal income tax. Claim contributions as an above-the-line deduction on Form 1040, even if you do not itemize deductions. Earnings in the account are tax-exempt as are distributions used for medical expenses. You generally can't use HSA funds to pay health insurance premiums without a tax penalty, unless you're 65 or older, receiving unemployment or paying for COBRA plans and similar temporary continuations of an insurance policy. Does Paying Insurance Reduce Taxable Income?